Mycopryl 680 combines caprylic acid, calcium and magnesium to provide a high strength gastrointestinal formulation. Caprylic acid helps maintain balance of healthy intestinal microflora. 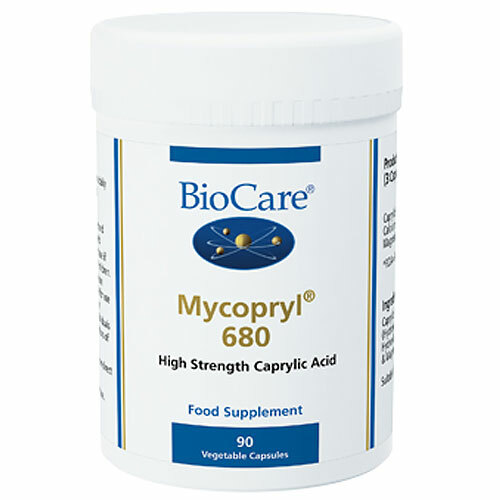 Mycopryl 680 also provides a source of calcium and magnesium. Take 3 vegicaps daily, with food or as professionally directed. NB. Mycopryl 680 capsules should not be opened or chewed. 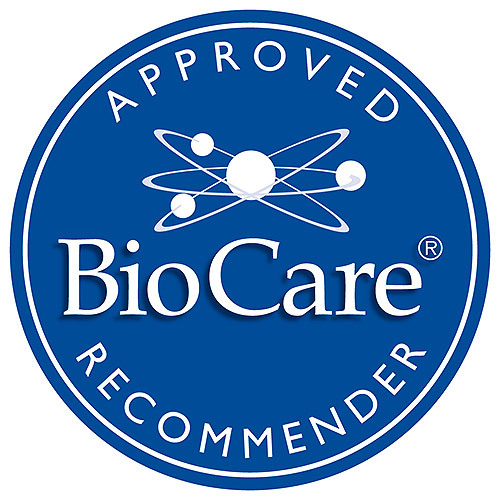 Below are reviews of Mycopryl 680 - Caprylic Acid - 90 x 680mg Vegicaps by bodykind customers. If you have tried this product we'd love to hear what you think so please leave a review. 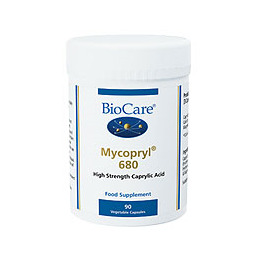 Mycopryl 680 combines caprylic acid, calcium and magnesium to provide a high strength gastrointestinal formulation. Caprylic acid helps maintain balance of healthy intestinal microflora.